Most financial planners and advisors would emphasize the importance of investing your money. Easy as that sounds, knowing how much to invest and in what isn’t necessarily cut and dry. Moreover, if you’re less than financially savvy or lack adequate knowledge when it comes to the stock market, you might be wary to invest any amount of your income for fear of losing it. Of course, even if you possess a suitable knowledge base for investing, sometimes, the cost of various stocks is exorbitantly more than you can or are willing to spend. That being the case for many is where the company Stockpile comes in. Stockpile exists as an online stock market of sorts that enables you to purchase fractions of stocks as opposed to an entire share. Ergo, providing those that don’t have as much disposable income to invest in companies and organizations that they might otherwise be unable to. Furthermore, Stockpile makes purchasing stock easy by allowing you to do so through gift cards and an on-phone app. Hence, you save money already by not having to go through a broker and are able to gift stock to others. Then, by providing Stockpile with some basic information, linking your bank account, and creating a profile, you can buy, sell, trade, and track your stocks all in one, handy place. Furthermore, if investing is a language unbeknownst to you, Stockpile even offers mini stock lessons to help you become better acquainted with the process of investing and the stock market. And when it comes to what stocks you’re able to purchase, you’re able to pick your category and choose to invest in a variety of popular companies that you’ve no doubt heard of. Although investing through an app can make some a little wary, Stockpile ensures your information is safe through encryption and protects its members for up to $500,000. When it comes to just how much you’ll spend by using Stockpile, the answer is really up to you. You can purchase gift cards and stock anywhere from $1 to $1,000. That being said, there are a few fees discussed in the fine print. Such as, a $1.99 fee for every gift card $100 and under, and a $1.99 fee plus 3% of the card value for every purchase over $100. In addition to the initial purchasing fees, if you ever want to trade your stocks, you’ll have to pay a 99 cent fee each time you do. Even so, you won’t pay anything to transfer to your bank and there’s no minimum requirement before doing so. However, if you decide to transfer your account to another broker at any point you will be required to pay a $75 fee. Nonetheless, the overall fee costs for using Stockpile is relatively low. Buying stock and investing your money can be a bit of an intimidating process, and if you don’t know what you’re doing you run the risk of losing your hard-earned income. One of Stockpile’s greatest pros is that it makes investing easy. In comparison to other online brokers, Stockpile tends to be one of the easier systems to use. If you have a particular stock that’s doing well and that you’d like to purchase a large amount of, Stockpile might not be your best answer. For example, when going through the website, you’re only allowed to purchase up to $200 worth of stock if you want to invest in Amazon. Ergo, if you want to do some serious investing with a large amount, you’ll have to go elsewhere. Many programs require a minimum balance before they’ll allow you to transfer to your bank or even sign up for an account. Stockpile on the other hand doesn’t have any requirements for either. You can purchase and transfer as little as you’d like. Just like a physical retail store has to account for overhead, you’ll have to pay extra for the cost of actually purchasing a gift card. The idea is that you’d give the gift card as a gift and therefore take upon yourself any impediments for the stock owner. While the idea is nice, Stockpile is receiving a 20 percent commission in many cases. Unfortunately, not every person can afford to invest thousands of dollars in the stock market, and in many cases, purchasing well-known or well-performing stock means doing just that. Stockpile gives everyone the ability to invest by allowing you to purchase a fraction of a share. In the end, you get to invest in a great stock for a price that suits you. Stockpile isn’t the only company that allows you to invest and purchase stock online. Sites like Robinhood and apps like Stash, also provide you with the ability to buy and trade electronically. Like Stockpile, both companies also enable you to purchase a mere fraction of a stock as well as ETFs. In terms of cost, Stash charges uses $1 each month until their account equates to $5,000, after which you’ll be charged 25 percent of your balance. Robinhood is similar in that it allows you to buy shares and ETFs. However, unlike Stockpile and Stash, they don’t receive any commission. That being said, however, you’ll have to purchase a full share with Robinhood, and in terms of first-time user training or in-depth research, Robinhood offers very little. So, if you’re a first time investor, Robinhood might not be for you. One unique aspect of Stockpile that neither Robinhood nor Stash have is the gift card ability. This does make for extremely easy and accessible purchasing. If you’re hoping to invest long-term and really build a solid portfolio, Stockpile might not be the best option for you. In such cases, you’re better off investing in a 401(k) or looking into a brokerage account. 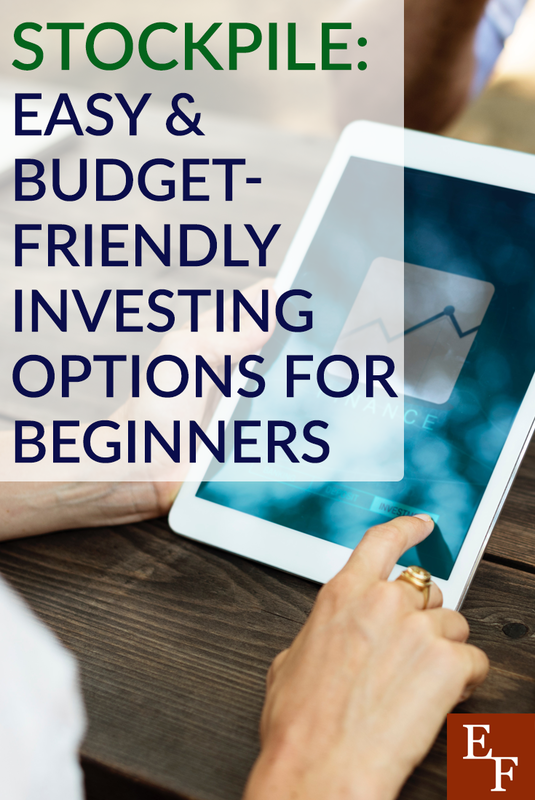 Still, if you want to simply dabble in investing or learn a few tricks of the trade, or would like to purchase a gift card in order to get a child or teen their start in investing and watch them learn along the way, then Stockpile offers an easy option for the beginner investor.